Currently, there are two brands of orthokeratology approved by the FDA: Corneal Refractive Therapy (CRT) from Paragon Vision Sciences and Vision Shaping Treatment (VST) from Bausch & Lomb. We recommend CRT to our patients. 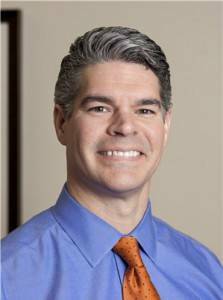 Dr. Bristol answers the most frequent questions he receives about CRT. Click to read. CRT is frequently a good option for nearsighted individuals who are too young for LASIK surgery or for some other reason are not good candidates for vision correction surgery. Because it can be discontinued at any time without permanent change to the eye, people of any age can try the procedure, as long as their eyes are healthy. The goal for CRT is to correct your vision to 20/20 without eyeglasses or contact lenses during the day. In FDA trials of both CRT and VST lenses, more than 65% of patients were able to achieve 20/20 visual acuity after wearing the reshaping lenses overnight. More than 90% were able to see 20/40 or better (the legal vision requirement for driving without glasses in most states). Success rates for CRT tend to be higher for mild prescriptions. Call our optometry practice in Bee Caves, TX to find out if your prescription is within the range that can be successfully treated with CRT. Some people have comfort issues when attempting to wear gas permeable contact lenses during the day. But since CRT GP lenses are worn during sleep, comfort and lens awareness are generally not a problem. CRT is a significantly longer process than a regular contact lens fitting. It requires a series of office visits and potentially multiple pairs of lenses. Also, GP lenses used for CRT are more costly than most regular contact lenses. Therefore, fees for CRT are higher than fees for regular contact lens fittings. Learn how we are using orthok to help with myopia management.